I’ve been on a path to heal my achy gut this past year. I’ve tried many different approaches, but none have produced any good (or shall I say “gut”) results. The newest one is all about eliminating foods high in insoluble fiber, which is pretty challenging for someone who’s had a love affair with chia seeds, flax and beans for years now. I have no way of knowing if I will stick with this way of eating for long before I’m put on my next diet. In the meantime, however, I am on the lookout for healthy nutritious recipes low in insoluble fiber. 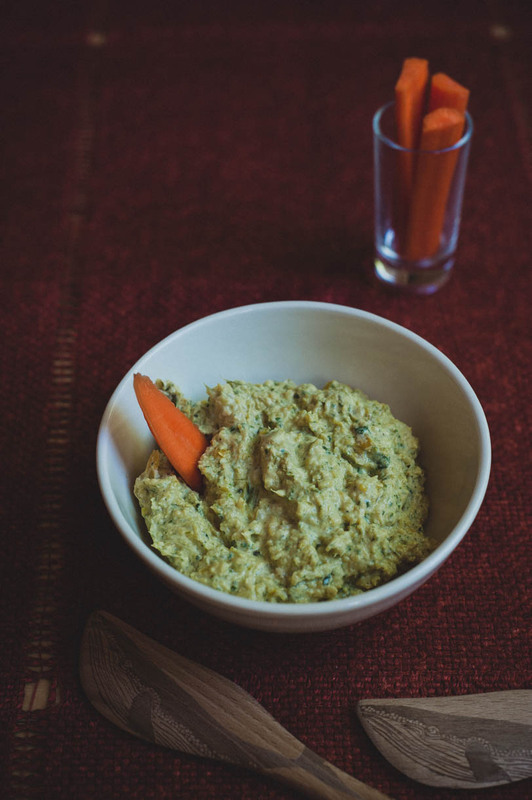 This hummus fits the bill – it is light and healthy, contains no garbanzo beans, and allows me to repurpose the Chard stems that I’ve been discarding all this time. And it tastes soooo good! Everytime I serve it I get asked for a recipe! In our house, we like hummus in any flavor, texture, or style. As a dip, a salad dressing, or a spread. 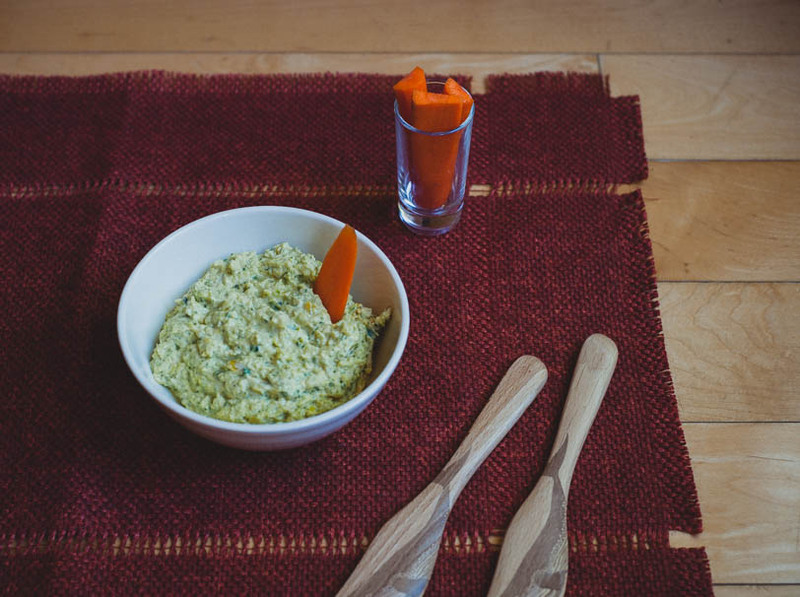 The base of each hummus creation never changes: chickpeas, garlic, tehina, lemon juice and olive oil; while the flavoring agents vary seasonally: sun-dried tomatoes in the winter, herbs in the spring, grilled peppers in the summer, root vegetables in the fall. 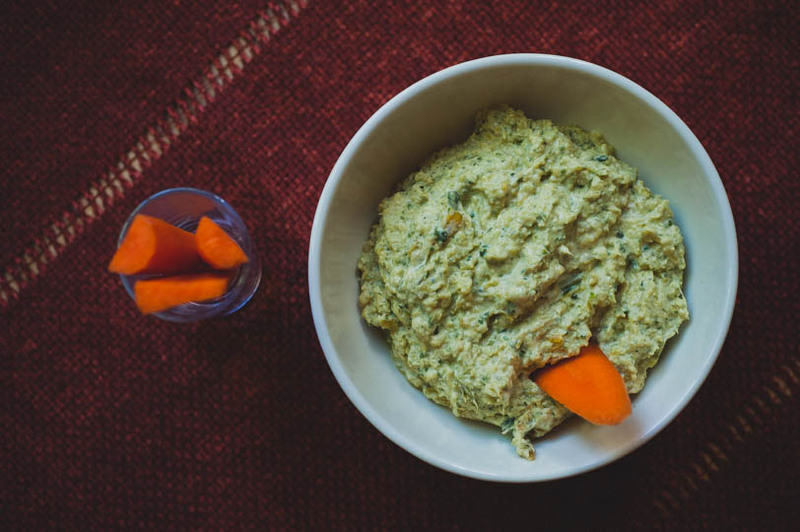 Imagine my surprise when I saw this Chard Stalk Hummus recipe change the rules of the game completely and mess with the holy hummus base! No chickpeas in hummus? What? Well, this beanless light spread has really changed the way I approach hummus, thanks to a wonderful new The CSA Cookbook. If you want to challenge yourself, try pairing Hummus with wine! I mean it! Or to make life easier, go with my suggestion and get a bottle of 2013 ONEHOPE California Pinot Noir. It is light, subtle and will not fight Hummus for your attention. I always feel guilty eating hummus. Such a caloric dip. Thanks for posting a lighter recipe idea! Does it taste like hummus? 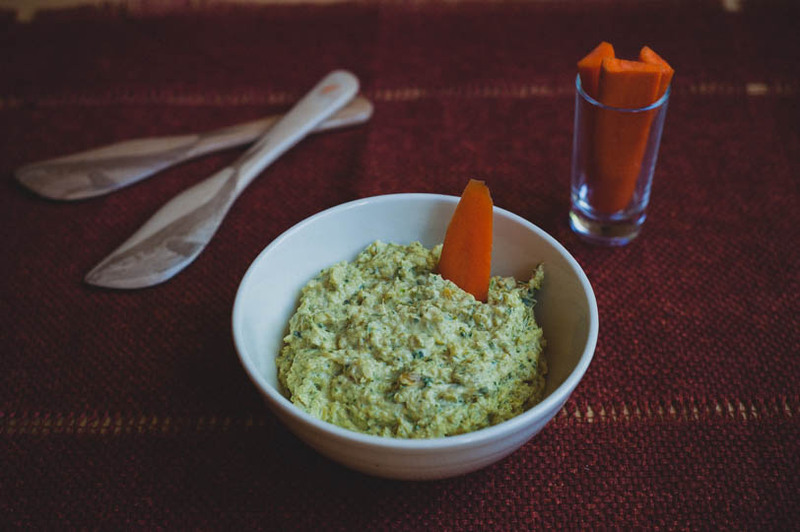 Anise, it does taste like a really light, melt-in-your-mouth hummus!